Kasabian are stomping back to the SSE Hydro Glasgow this November 2017. With a new album ‘For Crying Out Loud’ the Leicester indie rockers will be unleashing a whole load of fresh tracks as part of their Winter arena tour on Saturday 25 November. Kasabian are having a killer year and recently smashed the Reading and Leeds Festivals with their storming headline sets. The Glasgow show will be another great night as they run through material from their back catalogue albums including ‘Empire’, ‘Velociraptor’ and ‘Kasabian’. 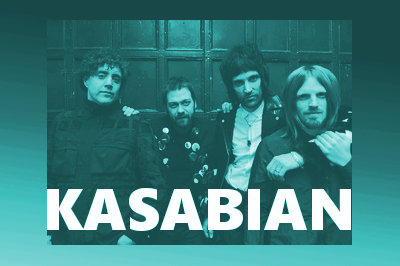 Kasabian Tickets for SSE Hydro Glasgow go on general sale from Thursday 31 August 2017.